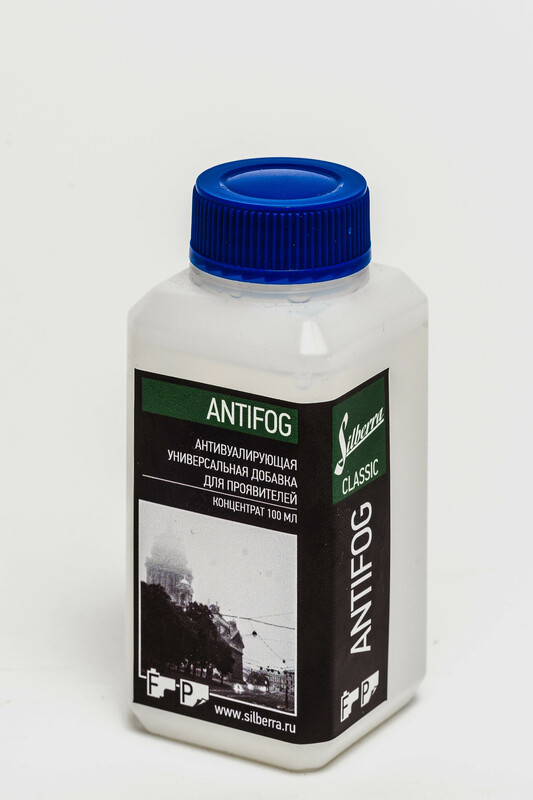 Antifogging additive Silberra Antifog is designed to lower fog level on photo papers, including expired ones. Usually most of the developers include some volume of the same components Silberra Antifog contents; these components have direct influence upon development speed and sensitivity of photographic material. Due to that fact we don't recommend using Silberra Antifog additive in processing photo papers that are not subject to fogging initially, unless decreasing sensitivity of photo paper on purpose. Optimal Silberra Antifog volume is 30 ml per 1 litre of developer. 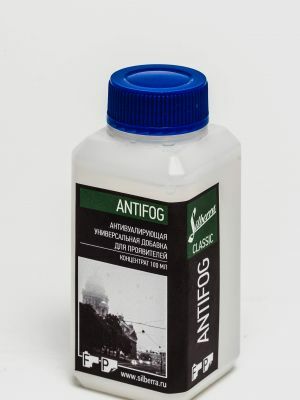 Should initial fogging level be insignificant it is recommended to start with adding 10 ml of Silberra Antifog per 1 litre of developer, gradually increasing the concentration to reach the desired effect. Silberra Antifog additive may be infused in working solution and in concentrated devloper also (taking into account final dilution ratio for that specific developer). Silberra Antifog additive may also be infused directly into the tray with working solution right prior to processing specific print(s). Past infusing the additive recepient solution shall be stirred actively for 1 minute to dissipate the infused chemicals. When using Silberra Antifog additive the developing time shall be increased on 10%-30% and exposure time for photo paper shall be increased on 10%-20% also (as overall sensitivity of the emulsion shall be lowered while processing the print). Maximum density of the black colors in the print stays unchanged, while the contrast of the print shall increase for 1/2 stop. Keep Silberra Antifog additive in a cool, dry and dark place. Keep away from children. All the solutions should be stored in tightly sealed bottles, with low internal air volume. Silberra Antifog additive may be stored in its original sealed bottle for up to 24 months; after opening the bottle, the Antifog additive will remain useable for no more than 12 months. Adding Silberra Antifog into developer shall not affect shelf life period of the developer itself.